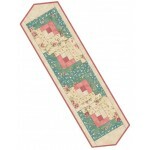 Table Runner Kits, Complete Pre-cut Table Runner Kits with pre-cut fabric and pattern included. Backing fabric is included. No Cutting, just sew together. Table Runner Kits include pre-cut cotton fabric and pattern for a 13"..
No Cutting, just sew together. Berry Bramble Table Runner Kits include pre-cut cotton fabric and pa..
No Cutting, just sew together. 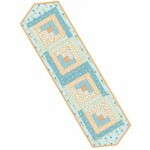 Catalina Table Runner Kits include pre-cut cotton fabric and pattern..
No Cutting, just sew together. 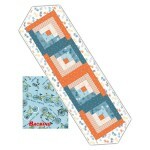 Cycles Table Runner Kits include pre-cut cotton fabric and pattern f..